More than 25 years ago we started our journey in the cycling industry, with a humble store in the port of Javea, Today Xabia´s Bike has grown and expanded to 3 locations in Jávea, Jalón and our latest opening in the town of Moraira. In 2012 after many year in our first store location we decided to expand to a larger location due to our increasing store demands and requirements, This move was the golden moment for us. After this move we decided to expand even further and in 2013 with the Financial crisis still showing its ugly face we opened our second store in Jalón, bringing with it our impeccable services and client support to the interior areas of the Marina Alta. 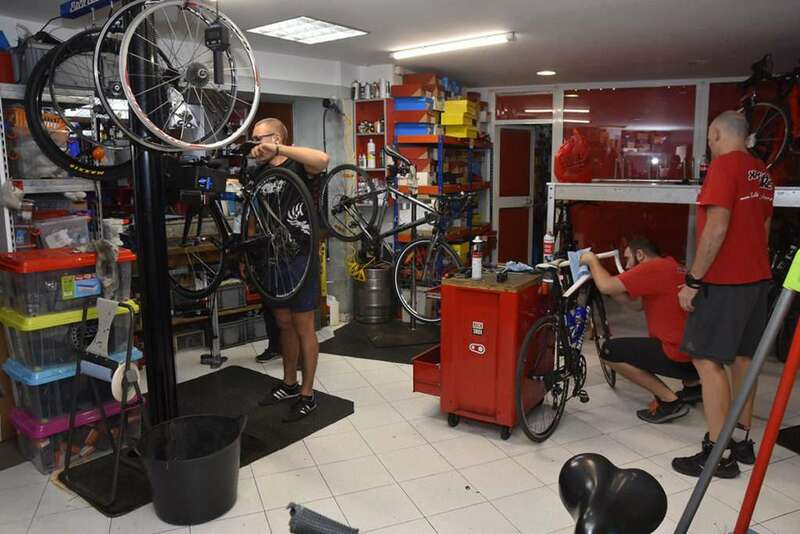 Finally in 2018 we opened our third store in 2018 we opened our third store in Moraira where we focus our attention on e-bikes which are growing in popularity. Through the years we have learnt and evolved alongside the bikes even as they speed up in there evolution year after year. Apart from being Cycling merchants we are cycling aficionados with decades traveled on our bikes. This passion makes out jobs a day to day joy. We use our knowledge and passion to test out daily new products and materials that come out to take note and use this information to help our customers find the correct products for there necessities making sure they go home with the perfect products that fits both there requirements and budget. As we always say feel free to as us any questions or assistance when purchasing your new bike with no compromise whatsoever, we are always happy to help a fellow cyclist. Our Team is made up by avid cyclists which are higliy qualified and trained in many different styles and categories of the cycling world, we all share the same passion and love our job. Come visit us at any of our stores and you will instantly see our passion and dedication to the sport. We look forward to your visit. I was born in Austria, however I have been living is Spain for more than 20 years. I speak Spanish, English and German. 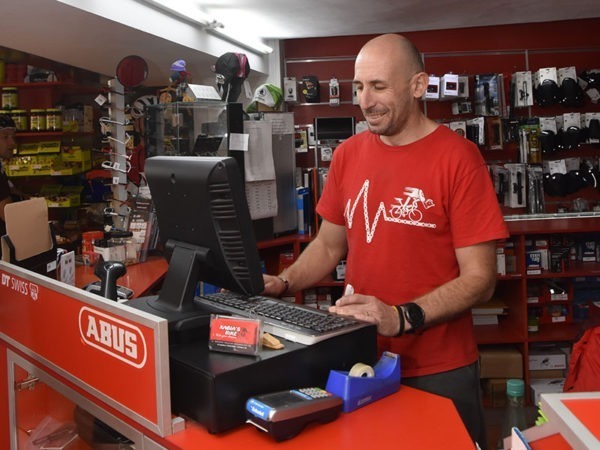 In 2010 I decided to make my hobby my profession and I started my journey as a business owner in the cycling industry alongside Alex, whom has spent almost all his life around bikes and the management of Xabia´s Bike Center with Eduardo. 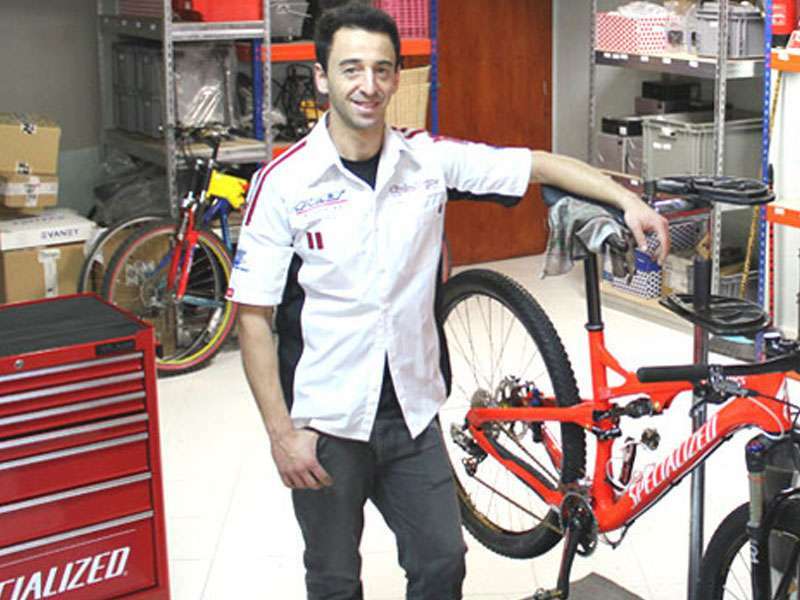 I joined the team as Eduardo retired and we updated the name to be simply Xabia´s Bike. My main role in the team is dealing with all the administrative requirements such as purchasing of bikes, sales, guidance to customers and rentals, to name a few. Hey Everyone!, Im Alejandro Chacon, my city of birth is Bailén, located in the province of Jaén. I moved to Jávea When I turned 13 due to my parents relocating for work. From the age of 13 I started my journey in the cycling world with Eduardo the founder of the first shop that began the amazing journey of Xabia´s Bike, which has not expanded to the current version of the company alongside my college Martin. My main role in the company is the Mechanic section, coordinating and repairing all kinds of bikes, I have been doing this role for 25 years and could not imagine doing anything else. My favorite favorite styles are DH, Enduro, Dirt and Xc. I am always happy to assist and advise you with any issues or questions you may have and finally Un saludo y Rock and Roll! !